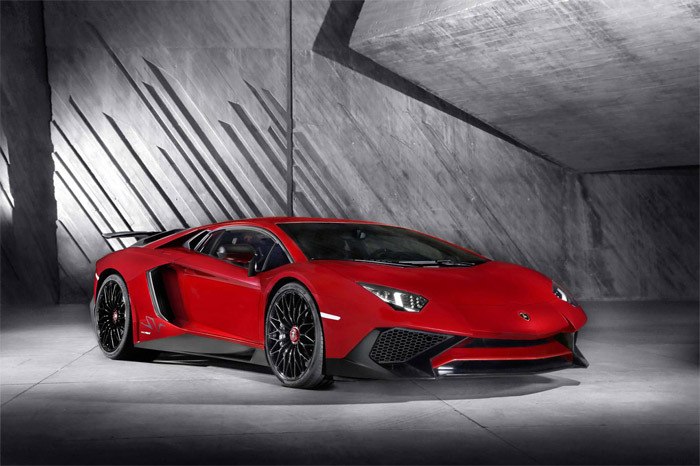 Lamborghini has unveiled a new version of its ultimate supercar, the Aventador in Geneva. The new version of the car is called the Aventador LP 750-4 SuperVeloce and it packed 750 metric horsepower under the hood. That equates to about 739hp from the 6.5L V12 engine here in the States. While the power bump is nice, what is really important about this more track tuned Aventador is weight reduction and aerodynamics. Lamborghini put the SV on a diet and pared 110 pounds from the normal Aventador thanks to using more carbon fiber and ditching the infotainment system. You can add that infotainment system back into the car as a no cost option if you want. The car has new seats and door panels made from carbon. The big change is aerodynamics. Lamborghini says that the SV version of the Aventador is 150% more aerodynamically efficient than the normal car and produces 170% more downforce than the normal car. With more power, less weight, and better aero the SV version of the Aventador hold be a beast on track. It also boasts a top speed over 217 mph according to Lambo.